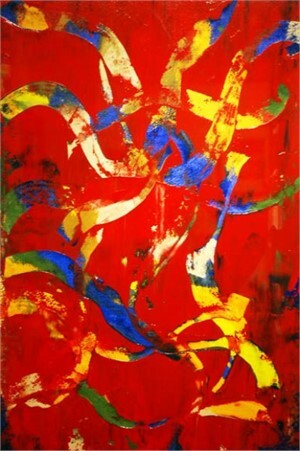 James Leonard is one of California’s leading abstract expressionist painters. 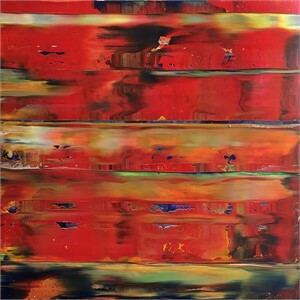 Working with an extended palette knife and acrylics on canvas, he creates bold horizontal and vertical strokes in strong colors in order to trigger the viewer’s emotions. This basic movement is complicated by the inventive layering of dropped, speckled and fragmented colors that create a sense of additional depth. Leonard says, I’m pulling paint, layering one layer at a time, which creates a sense of history in the painting. It’s like looking at a fence post that’s been repainted over a period of time. You can see the different colors and layers. 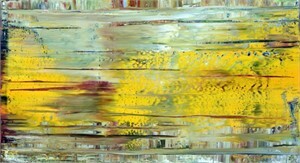 Leonard’s paintings have ambient landscape qualities and can have thirty or forty layers in one painting. His final touch employs a technique he calls sgraffito – scraping lines through the upper layers, so the colors of the ground layers show through. The German painter Gerhard Richer has influenced his style, approach, and directness. 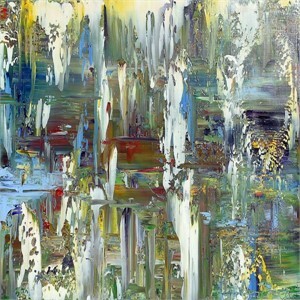 James Leonard’s paintings have been exhibited internationally. 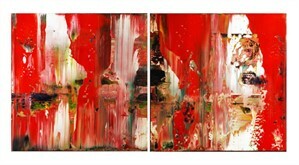 His works also reside in private and corporate art collections across the United States and Europe. 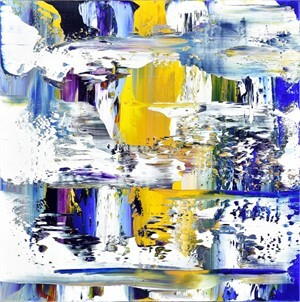 Born 1949 Lives and works in San Francisco, CA James Leonard is one of California’s leading abstract expressionist painters. 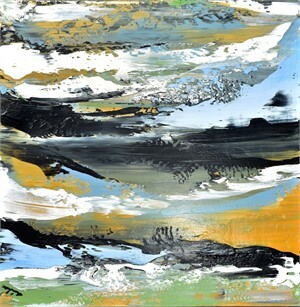 Working with an extended palette knife and acrylics on canvas, he creates bold horizontal and vertical strokes in strong colors in order to trigger the viewer’s emotions. 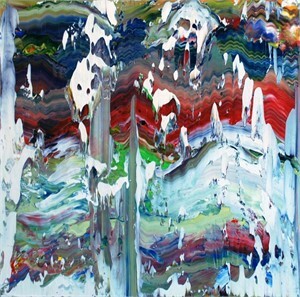 This basic movement is complicated by the inventive layering of dropped, speckled and fragmented colors that create a sense of additional depth. Leonard says, I’m pulling paint, layering one layer at a time, which creates a sense of history in the painting. It’s like looking at a fence post that’s been repainted over a period of time. You can see the different colors and layers. 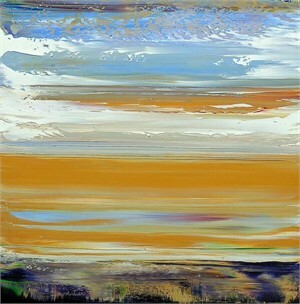 Leonard’s paintings have ambient landscape qualities and can have thirty or forty layers in one painting. His final touch employs a technique he calls sgraffito – scraping lines through the upper layers, so the colors of the ground layers show through. 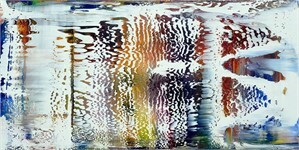 The German painter Gerhard Richer has influenced his style, approach, and directness. 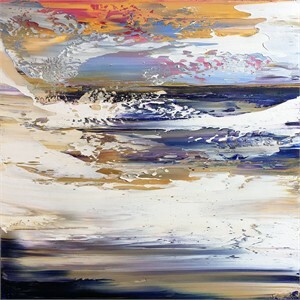 James Leonard’s paintings have been exhibited internationally. 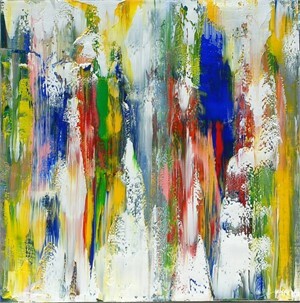 His works also reside in private and corporate art collections across the United States and Europe.